I tend to switch back and forth between four different things for breakfast -- oatmeal, quinoa, greek yogurt or eggs. These choices are mainly for their health benefits, but also because there are so many variations one can make with each of these food items as a base. Today, my focus is on steel cut oats (I like John McCann's brand) with several additional ingredients to create an antioxidant, protein filled hearty breakfast that will keep you fueled throughout a busy morning. As with any of my recipes, I only include the measurements for guidance. Add as much or as little of each ingredient as you like, and/or substitute your favorite or leave something out altogether if you don't like it. Experimentation is the key to a happy kitchen. PS - if you aren't serving two, put the second serving in a glass storage container and refrigerate for another healthy breakfast tomorrow. As you have probably discovered by now, I have a real obsession with my Vitamix, and I love creating new tasty smoothie concoctions. 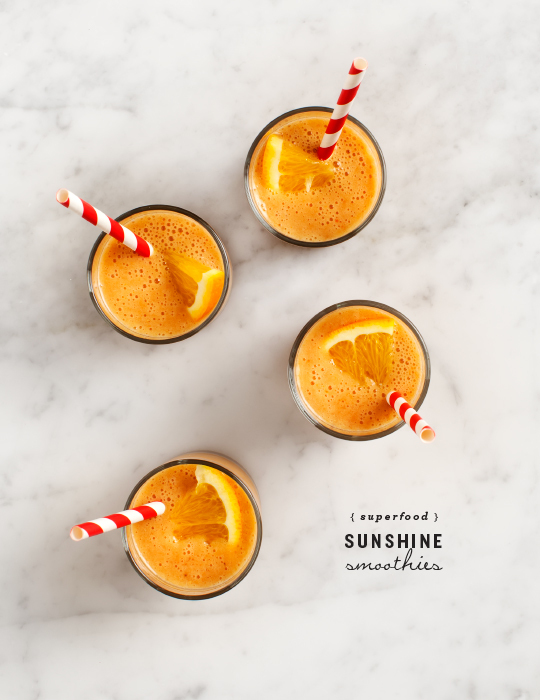 The following recipe by, Love and Lemons, has quickly become a home-run smoothie in our house and has Dave's Stamp of Approval on it. Every time I make this one, he always asks what it is because it seems to always turn out a little different every time. Note: Sometimes mine looks more pink than orange depending on the OJ to goji berry ratio. This is an excellent reference for any new or seasoned smoothie makers out there. I print things like this and hang them on the inside of my kitchen cabinets for easy access and inspiration. I stumbled upon this formula on Pinterest, which serves as a great discovery tool if you're looking for ways to mix up the ingredients you put in your smoothies.